Pierre Elliot was born on November 26, 1914, in London, England. He was raised by his mother who was widowed as a result of the great influenza epidemic that swept across Europe at the end of the First World War. He grew up mostly in Paris, where his mother lived and worked as an opera singer. His aunt Winifred Beaumont introduced him to the work and ideas of G.I. Gurdjieff and P.D. Ouspensky. She was married to the scientist and philosopher, J.G. Bennett.� In his formative years during the 1930's Pierre was a frequent guest of the Ouspenskys. Pierre's higher education and professional training were interrupted by the onset of the Second World War, which began in September 1939. Like millions of others he enlisted in the British army but his complete fluency in the French language and his familiarity with many areas if France meant that the wartime authorities were bound to send him on clandestine missions and intelligence gathering directed at Occupied France rather than into military service. He once commented to his eldest son: "When I signed up, I was told that the work I was involved in was secret. It was secret then. It is secret now." After the war, Pierre's personal life gravitated once again towards the work of Ouspensky as well as J.G. Bennett at his center at Coombe Springs, an estate southwest of London. In 1947 P.D. Ouspensky's wife revealed that Gurdjieff, (from whom her husband had broken off all contact since the early 1920's) was still alive and living in Paris, having survived the Occupation. Margaret Anderson, the American writer, was one of the first of Gurdjieff's students to be able to return to postwar Paris to be reunited with her teacher. Pierre, like many others, including his future wife Vivien, made frequent pilgrimages to Paris from nearby London, to study and work with the Master. The teachings that were transmitted then as well as the events of those times are well documented in the many published accounts and recollections of life with Gurdjieff. With Gurdjieff's death in 1949 Pierre continued in close contact with J.G. Bennett. When Bennett took up the spiritual practice known as 'Subud', brought to the West by the Indonesian teacher Pak Subuh, Pierre became deeply involved in initiating the large numbers of people who were attracted to Subud and the Latihan exercise. 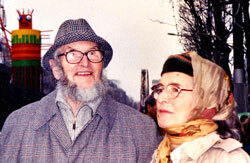 Pierre's first marriage ended in 1952. His first wife died, leaving him with two young daughters. He then married Vivien Healey whose own family members had known and worked with the Ouspensky's. From the birth of their first child in 1954 until 1971 Pierre devoted his energies to various professional and entrepreneurial activities, his family, maintaining a home, educating his children and living a largely 'normal' life. However his lifestyle and household still reflected his inner passions. Persian carpets and Indian friezes adorned whatever house the Elliot family lived in and friends and visitors were more than likely associated with Gurdjieff, Bennett or the Subud organization. Every summer he took his wife and children on extraordinary journeys to far flung corners of Europe, as yet still unspoiled by mass tourism. In 1971 Bennett asked Pierre to help him with a five-year experiment. It was to teach the rebellious 'sixties generation' methods of in inner transformation, based largely on the ideas of Gurdjieff and Sufi practices. An International Academy was started at Sherborne House in Gloucestershire, England and Pierre was named Assistant Director. J.G. Bennett died on 13 December, 1974 just as he had signed an agreement to purchase a property called Claymont Court in West Virginia, in the United States. Bennett was convinced that 'psychokinetic' communities needed to be established in the world. His legacy and vision was thence taken up by the senior figures around him, including Pierre, Elizabeth Bennett and John Wilkinson. The task of starting the Claymont community and school fell upon Pierre' shoulders. For more than ten years Pierre continued the work of his teachers but he also broadened the scope of influences and invited many extraordinary teachers from other traditions to come and share their wisdom at Claymont. Such luminaries included M R Bawa Muhaiyaddeen, Reshad Field, Sheikh Muzaffer Ozak, and Sheikh Suleyman Loras of the Mevlevi dervish tradition. Sheikh Suleyman Loras conferred the title of Mevlevi Sheikh upon Pierre in 1977. In spite of his grueling schedule of duties at Claymont Pierre still managed to find time to travel the world, sharing the spirit and work of Claymont with diverse groups of interested people. He was frequently invited to speak about his work by former Claymont students and his travels took him all over the United States, to Alaska, Hawaii, the Caribbean and often back to Europe. 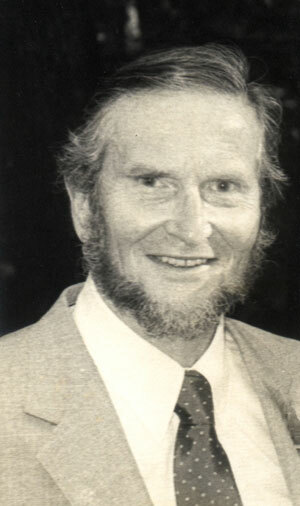 In 1986 He and Vivien made an around-the-world journey, visiting friends, communities and seekers, in Europe, India, Nepal, Indonesia, Australia and New Zealand. The name 'Pierre' means rock or stone in French. Pierre's way of leading the community at Claymont had such strength. He seemed to be everywhere at once and no mundane task nor major decision was shirked. He loves plants and rock gardens, birds and flowers. He was a keen collector of stamps and an avid photographer. He never for a moment considered himself a teacher of the caliber of predecessors like Gurdjieff and Bennett. His demeanor was always that of a loyal lieutenant; a practiced steward of the Work. Many who have known Pierre for any length of time have commented on the subtlety and sweetness of their experience at Rivuaguier. Like a good wine, Pierre's contribution to the Work improved with age. To this day friends and students still visit Pierre at his home in the south of England where he now lives quietly with Vivien, in close proximity to his third daughter Sara, her husband Charley, and their son Adam, Pierre's ninth grandchild! Pierre died January 1, 2005.